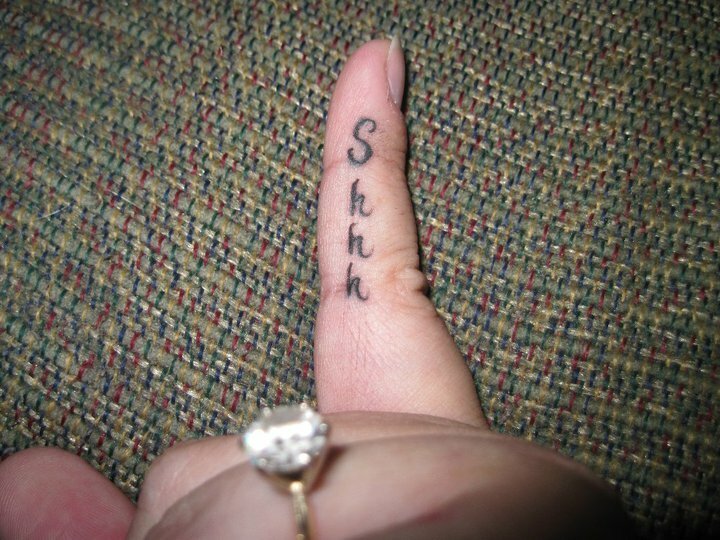 A few years ago I got a “Shhh” tattoo on my left index finger. It was so I could shush the wee one without making a noise. It eventually evolved into me just showing her that finger. I am a college teacher. My students obviously see my tattoos. They notice my hands a lot – I teach, I talk with my hands. And, I find that I use it with them as well. I don’t have to embarrass anyone, I just flash my tatt to them. They get the hint. In fact, most people around don’t even know I just told someone to “be quiet”. I still have to use it with the wee one – she’s 11 now, but we all need to be reminded to be quiet once in a while. Her friends know about it too- I can just stick my finger in the room, and they’ll quiet down. But, who tells me to shush? No one really. I guess that’s my job. This is the season where I really need to focus and be quiet more. I do a quiet time Bible study/devotion reading about 4 or 5 times a week. This is my quiet time. I also attend church 2 times a week. I pray. Daily. Continually. I read thought-provoking Christian literature. I have quiet time. But, I am henceforth resolving to focus my quiet time even MORE. I need to be aware of my quietness and my stillness. 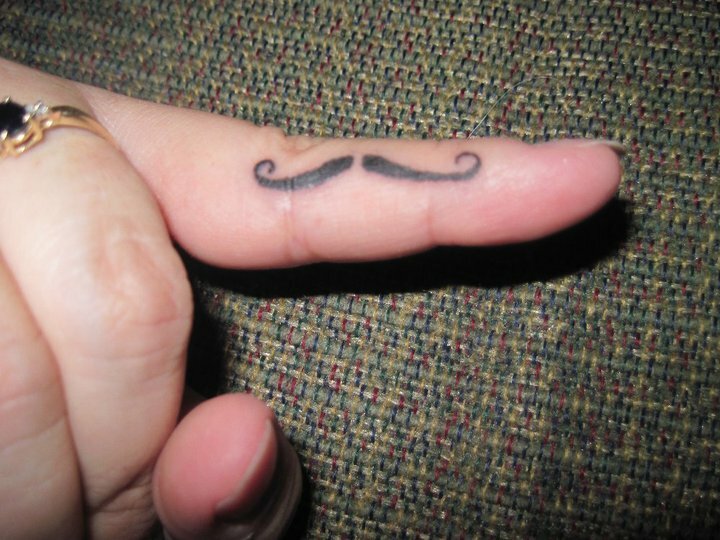 Oh, and I have a moustache tattoo on my other finger. I like to balance the serious with the fun. I mean, we can’t be quiet all the time, right? That’s funny! My daughter would love the mustache one! they are her thing right now for some reason! What do you teach? I’m a college English and Theatre professor – ha! You sound like a blast! lol Shushing ourselves is HARD, isn’t it? I’m finding, though, that the more quiet time I spend with God, the more easily I can bite my tongue and keep quiet when what I feel like saying really isn’t helpful. Love your tattoos! I’m a runner and have one you can’t see unless I am wearing short running shorts (not really in style right now) but my job and career don’t allow me to have visible tattoos.